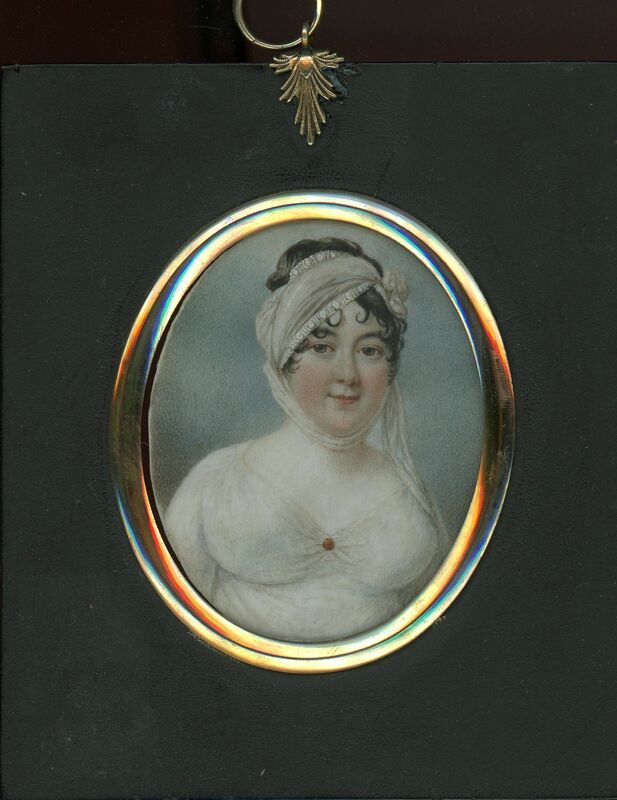 Home / Collections / A Well-Endowed Lady! 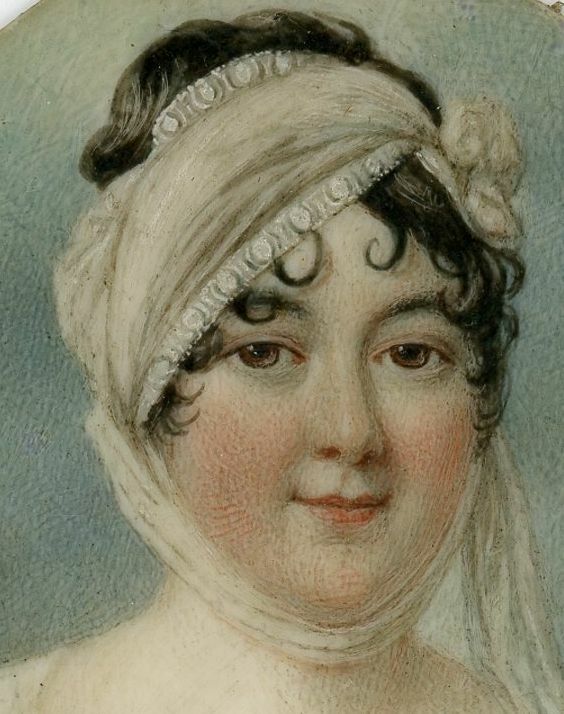 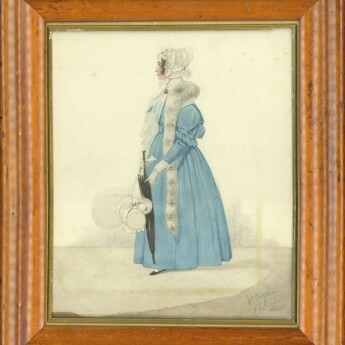 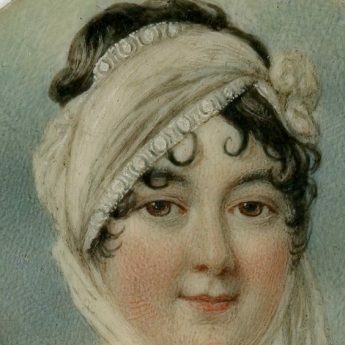 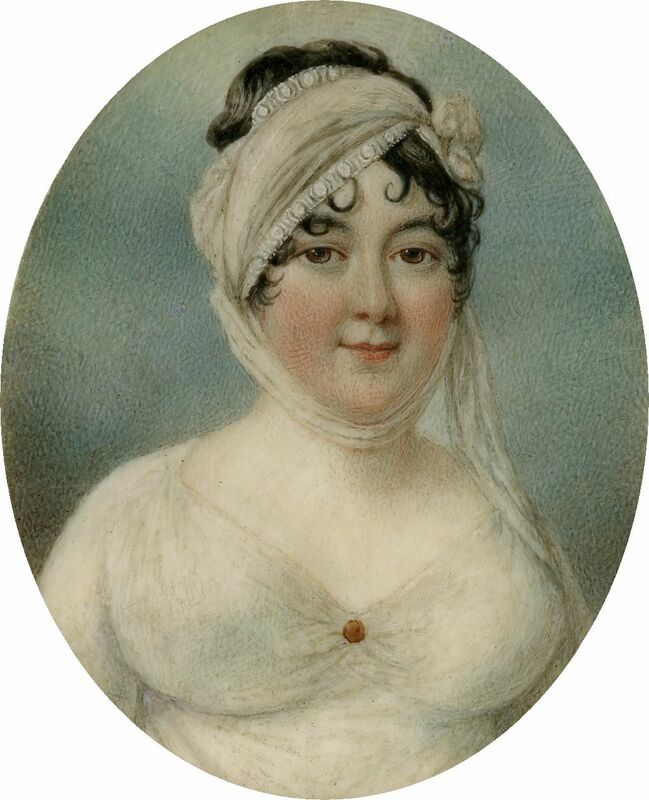 A characterful portrait of an unnamed Georgian lady dressed all in white in a muslin empire-line dress that shows off her ample figure and a matching head-dress that is wound under her chin and through her dark curls before falling over her shoulder. 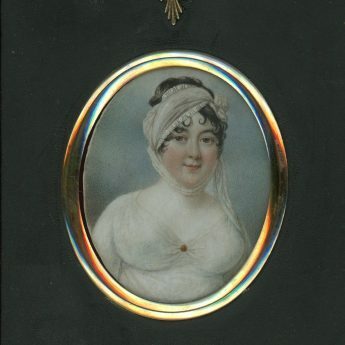 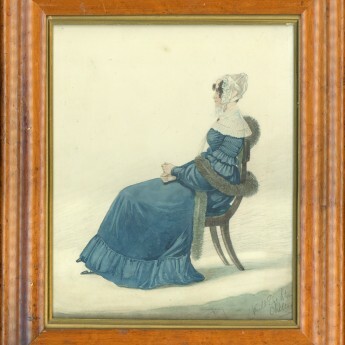 The portrait is set in a traditional papier-mâché frame with a brass surround and a star hanger.